Egyptian mythology is full of some truly epic and amazing tales. It’s fascinating to find out what people of the past used to believe, and imagine how it may have influenced their everyday lives. Egyptian mythology was not just a form of entertainment but also a way for people to teach life lessons in a way that was easy understand. Since stories naturally become popular it was also a good way of spreading a good message far and wide. From the creation of the two worlds, to the doomed prince, this is a list of the 5 most amazing tales from Egyptian mythology. In the beginning there was nothing but except for a great expanse of water called Nun. Nun created Ra. Ra was an all-powerful being who created the sun, and the moon. His power lay in his secret name which nobody knew but him. Ra could create something new just by saying it’s name. He created many gods by speaking their names. Ra created mankind and then ruled over them in human form, as Pharaoh. While he was Pharaoh mankind lived prosperous lives, with abundant food. Ra made the laws which men must follow and for a while they followed them. Because Ra had been living in human form he began to grow old. As he grew old the humans no longer feared him, and began breaking his commandments. Ra was enraged by this and summoned all the gods who he had created. He asked them for their advice. His mother Nun said that he should send his daughter Sekhmet to punish mankind. Sekhmet went on a rampage. After days of bloodshed Ra began to pity mankind, and decided to stop Sekhmet. He asked her to stop but Sekmhet refused. Sekhmet was too powerful for him to stop, he could only hope to trick her. When Sekhmet appeared to begin slaughtering again she saw no one, and noticed that the ground was covered in a red liquid which she recognised as blood. She began drinking happily. It was actually alcohol coloured red with pomegranates which Ra had had placed there. She ended up killing no one due to effect of the alcohol. She passed out and when she woke up she no longer had the desire to kill anyone. This is one of the most famous tales from Egyptian mythology. Ra had aged significantly, and his body began to show signs of this. Isis the wisest of gods took advantage of this to learn his real name. 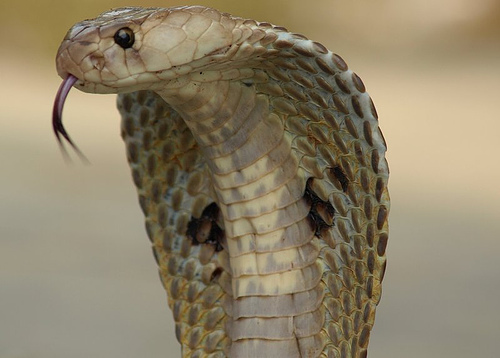 She poisoned him with a cobra she created. Ra was panicked by this as he was poisoned by a creature he had not created and didn’t understand what was happening. He called on the gods to try and save him. 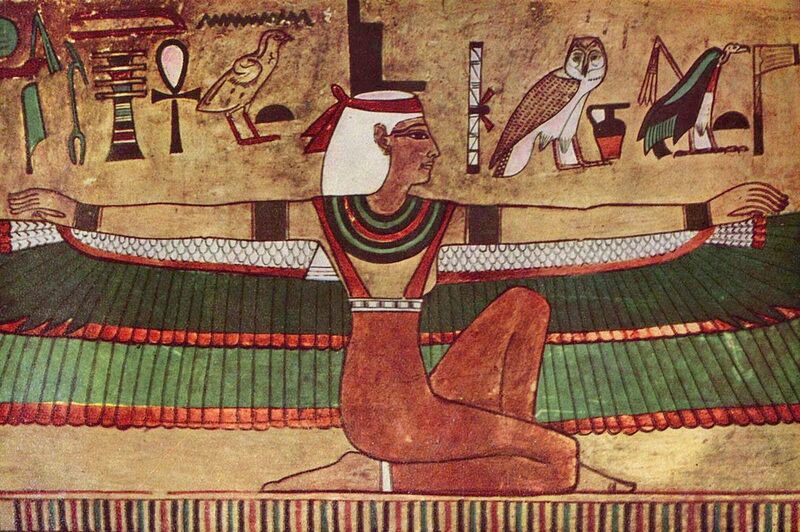 One of the gods that came was Isis. Isis said that she could save him only if he told her his secret name. Ra reluctantly agreed to this, and told his name to her, and only her. She then used his secret name to heal him of the poison. Once Isis had gained his name she became as powerful as him. This is a very important story from Egyptian mythology. 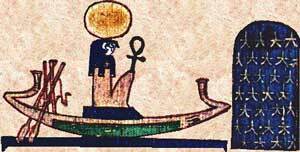 Isis, Osiris, Set, and Nepthys were the children of the god of the sky, Geb, and the god of the earth, Nut. Osiris became Pharaoh of Egypt since he was the eldest, and he married his sister Isis. Everyone who live on earth, and all the gods who lived in the netherworld respected Osiris because he was a wise ruler. His brother Set wanted to be king in his place, and decided to kill Osiris in order to fulfill his desire. Set cut him into pieces and placed the pieces all over Egypt. Now Set was king with his sister Osiris as his wife. Isis was devastated by her husbands death, and used her magical powers to bring him back to life, long enough for them to have child. Once Osiris was resurrected they had a child together, called Horus. Horus was angry that Set was Pharaoh and decided to go to the court of the gods. While he was there he claimed that he was the rightful heir to the throne. 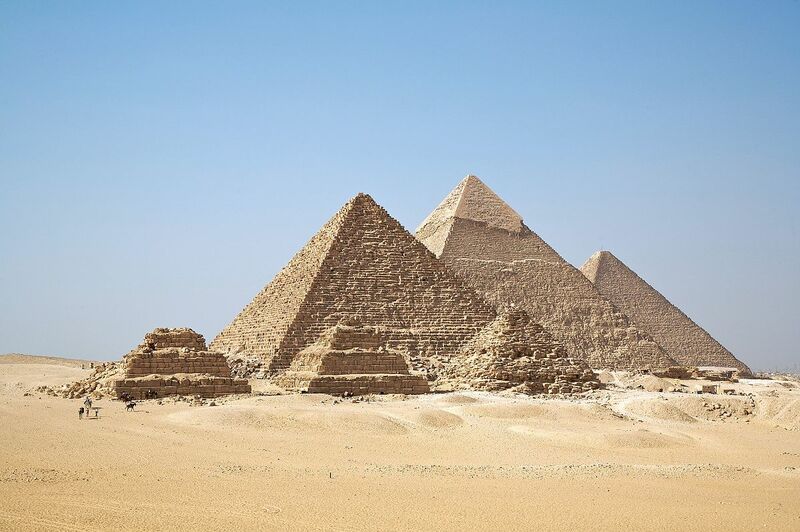 It was eventually decided that it would come down to a competition between the two, and the winner would rule Egypt. Set constantly cheated throughout the competition, and Isis decided to intervene and caught Set in a trap. Set begged, and managed to convince Isis to let him go. It came down to one more competition but once Set tried to cheat, but Horus got angry and it ended in a draw. The gods decided to ask Osiris who should be king, and he decided that Horus should rule. The peasant (Sekhti) was walking around trying to sell his wares, which were being carried on donkey’s backs. At some point he was walking near the land of a workman called Tehuti-nekht. Tehuti had placed a shawl on the only pathway the peasant could use to get through. The peasant walks his donkeys over the shawl, and is scolded by the workman for this. Sekhti then walks his donkeys through the cornfield to his right in order to avoid the shawl. The workman than complains that the peasant is ruining his cornfield. The workman uses this an excuse to steal his donkeys which was what he was after all along. The peasant knows that no one will care about what happened because injustices towards peasants are often overlooked, but decides to try anyway. He goes to the nearest authority, which happens to be the Lord Steward Meruitensa. The lord ignores his plea since he is a peasant. 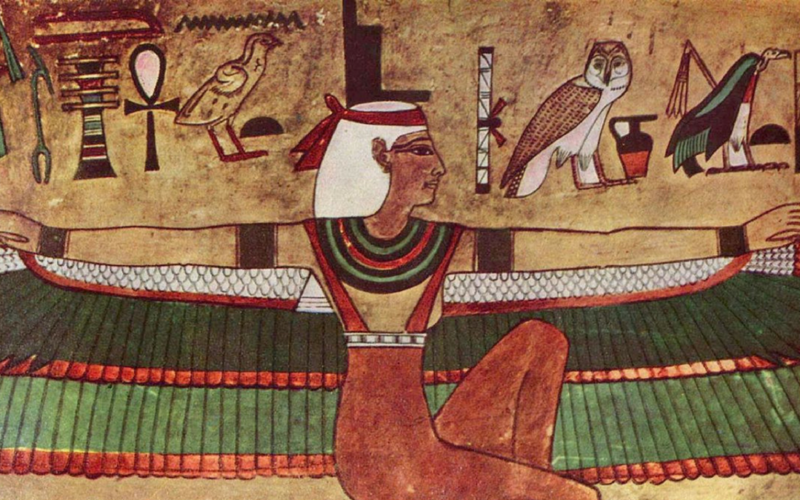 Sekhti refuses to give up and keeps pestering the lord. He ended up getting beaten many times but still refused to give up. This persistence convinced the lord that he was actually an honourable man and he decided to help the peasant regain his animals. The Pharaoh of Egypt was disappointed that he didn’t yet have a son. He prayed to the gods to give him a son, and that night his wife became pregnant. The seven goddesses who predict the future of newborn children, foretold that his son would either die by snake, dog, or crocodile. Fearful for his son’s life, the Pharaoh keeps his son in an isolated palace, hidden in the mountains. One day the prince asks his father for a pet dog. His father is reluctant at first but relents, as he doesn’t want his son to be unhappy. All grown up, the prince decides to go out into the world and accept his fate. He happens upon a group of people trying to win over a princess who is locked inside a room. The prince somehow manages to jump up to the window of the room she’s locked in, and wins her heart. After marrying the princess he tells her about his three dooms. The princess tries to convince him to kill his dog, but he refuses because he’s grown attached to it. His wife spots a snake trying to bite him as he sleeps, and she quickly stops it, saving him from one of his dooms. While walking his dog, all of a sudden it attacks him and even begins to speak. The dog tells him that he was meant to be killed by the dog, and so he runs away. He ends up meeting a crocodile in a lake. But instead of killing him, the crocodile gets the prince to help him in a fight against a water spirit. The rest of the story is unknown, and so we’re left with an ancient cliffhanger. This is one of the few tales from Egyptian mythology that we only know half of.